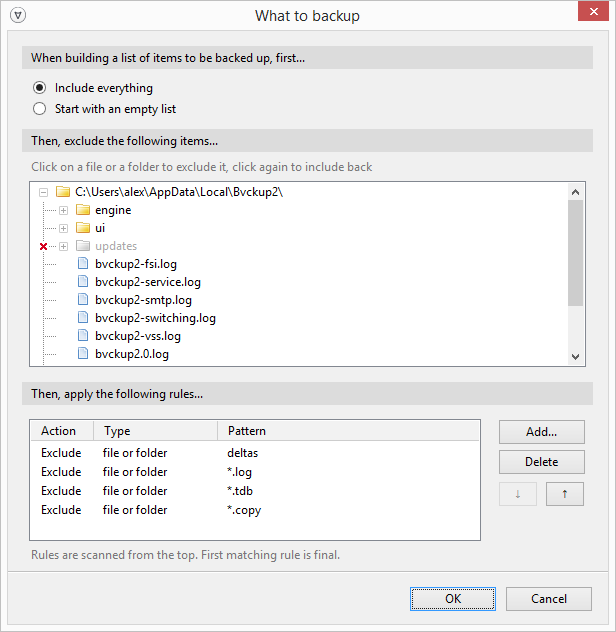 To create a backup of app's own configuration you have three options. Starting with Release 74 it's possible to save app's settings (including all configured backups) in a single .zip file. Also, make sure to set the job to either manual or periodic backup, but not to the real-time one, because latter will cause the job to run continuously as it will trigger itself in a loop. To have configuration replicated in real-time you may rely on a self-backup option instead, which basically causes the app to write a copy of each config file into a secondary location every time the principal config file is touched.